Let me take you to the old world by learning about gargoyle facts. Gargoyle is a product of the middle ages. 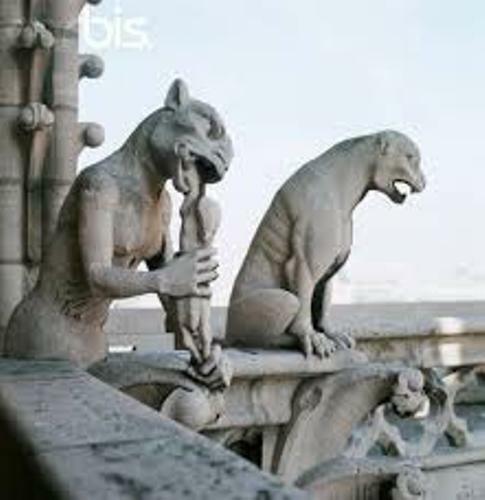 If you want to broaden the knowledge about the historic art, you need to know the exact meaning and style of gargoyles. If you are interested to find out more about Gothic, you need to know that it is not limited with the style of the clothes and dark makeup. This style is also accentuated with Gothic Gargoyles located in various Gothic architectures such as the historic mansion and castle. Can you define the meaning of Gothic Architecture? This style was flourished around 1200 AD to 1500 AD. It presented the mysterious style. There are three different kinds of Gothic phases. Those are the early English Gothic style, decorated Gothic style and perpendicular Gothic style. Let’s talk about the origin of Gargoyles. It was introduced as a part of Gothic architecture in the beginning of 13th century. It is functioned to throw the water from the foundation and wall. You can find many gargoyles on the Gothic building in England. 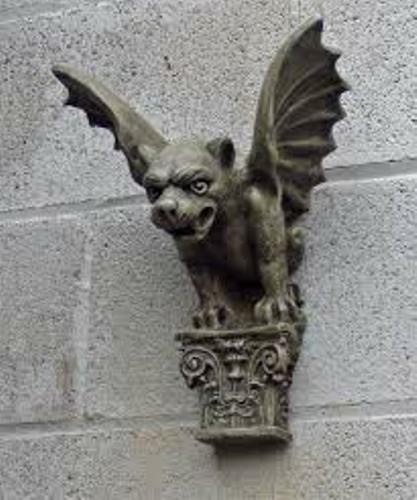 The word Gargoyle is derived from French word. It was ‘gargouille’. In English, it means throat. If you use the word gargoyle, it is the actual water spout. If you only see the term for a decorative purpose, it is called grotesque. No think about the appearance gargoyle. The face of this creature is derived from grotesque form. The roof gutter is made from the face of the frightening figure. When talking about the painting of gargoyles, usually it comes in gilded style. Many kinds of grotesque images are used to depict a number of images such as the animal, ugly human face, imaginary creature, animal, and combos of animals. The last one is called chimeras. 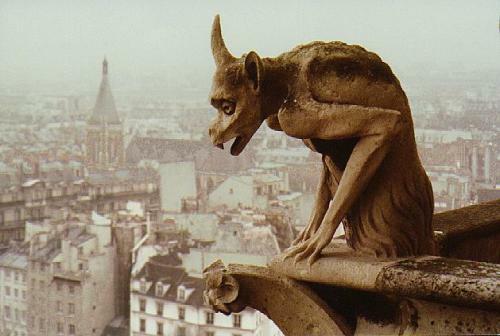 There are several kinds of materials used by medieval people to create gargoyles. Some of them include terracotta and wood. You can also see gargoyles are made from stone. 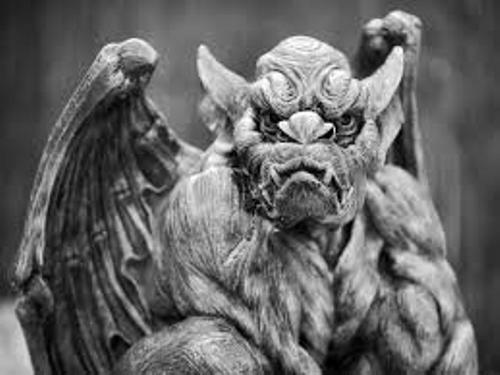 If you look at the gargoyles located on the churches and castles, they are created from marble or even limestone. The gargoyles on English Gothic castles, cathedrals and medieval churches are mostly created from stone. The creature looks intimating and frightening. Gargoyles have two main functions. The first one is for protecting the mortar and stone on the building. The second one is used for protecting the building from evil. 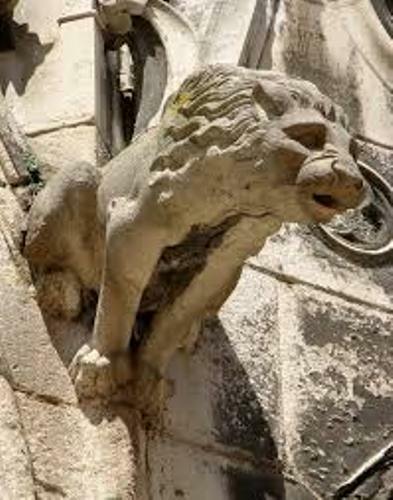 Gargoyles can be found not only on the medieval era, but you can also see it in ancient roman, Egyptian and Greek. Do you have any opinion on facts about gargoyles?